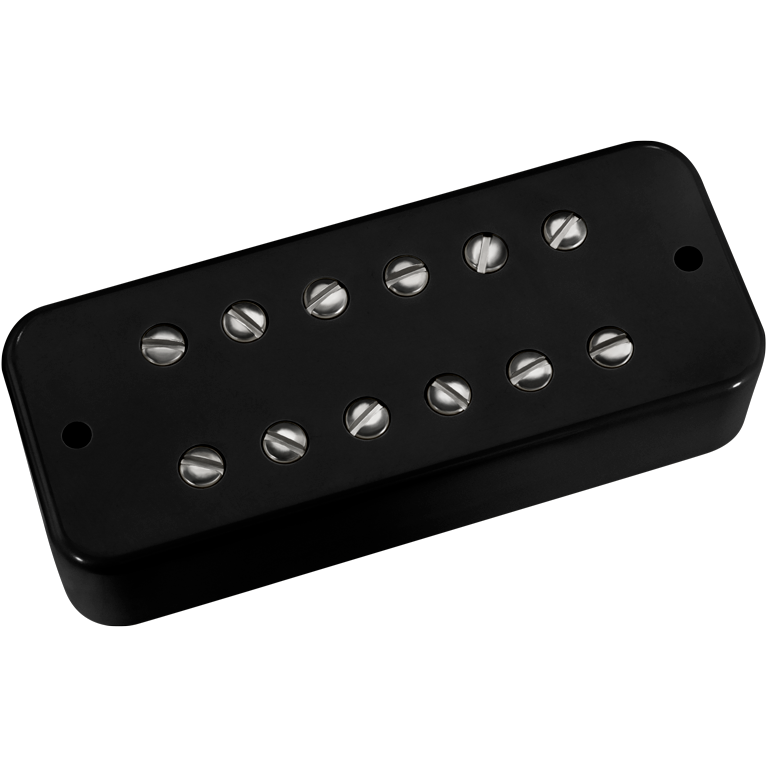 When DiMarzio® first decided to introduce a humbucking replacement for the “soapbar” and mini-humbucker, we found that many players wanted a pickup with more power and definition. We wanted to preserve some of the clean and open character of the original soapbar, so we reduced the mids on the DLX Plus™ a little while making the lows tight and punchy and the highs strong and defined. The result is that the DLX Plus™ has power, but it’s not muddy-sounding. The Neck model has almost as much power as the Bridge model, with a leaner bass response so low notes sound more defined. 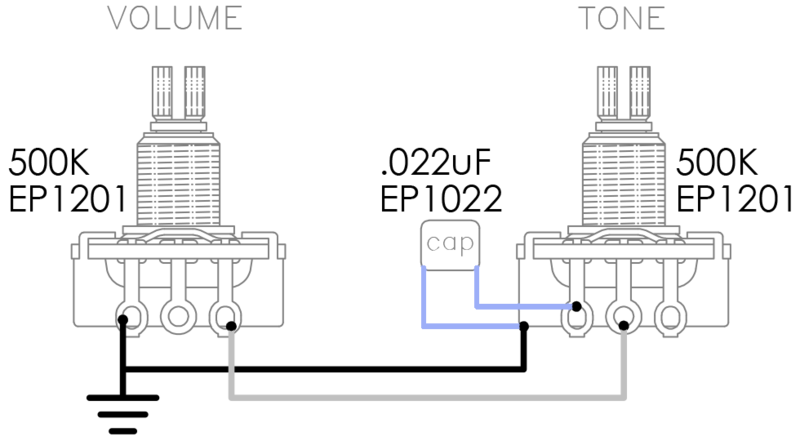 Both come with 4-conductor cable for coil-splitting and parallel options. We designated the DP162 a neck model because the low end is a little tighter and brighter than the DP154, so the two pickups function together as a gently calibrated set. However, it's also a pretty nasty bridge pickup — this is our production version of the mysterious Yamaha Q100, which is in both positions on the AES 1500. Cover dimensions: 3.38” x 1.38” x 0.75” (86 x 35 x 19 mm). Not available in a "dog-ear" version.